Adams Homes is proud to announce that Elizabeth Porter, General Manager of Adams Homes’ Orlando office has been nominated as the Home Builder Association of Metro Orlando’s “2011 Builder of the Year”. Oct. 14, 2011 - PRLog -- Elizabeth Porter’s nomination reinforces the traditions of Adams Homes in being a top home builder, striving for excellence in new home construction. Nominees for the Home Builder Association of Metro Orlando’s “2011 Builder of the Year” must excel in a variety of categories including association activity and membership, civic accomplishments and industry accomplishments. This nomination comes on the heels of a highly successful ceremony recently held at the Home Builder Association of Metro Orlando’s “2011 Major Achievement Awards” where Elizabeth led her team to 10 awards, while individually earning a “Leadership Award” and admittance into the 2011 Sales & Marketing Honor Society. Elizabeth Porter has been with Adams Homes since 2001 and through numerous promotions is now the General Manager for Adams Homes in the Orlando Florida market overseeing sales, administration and construction for the Central Florida area. 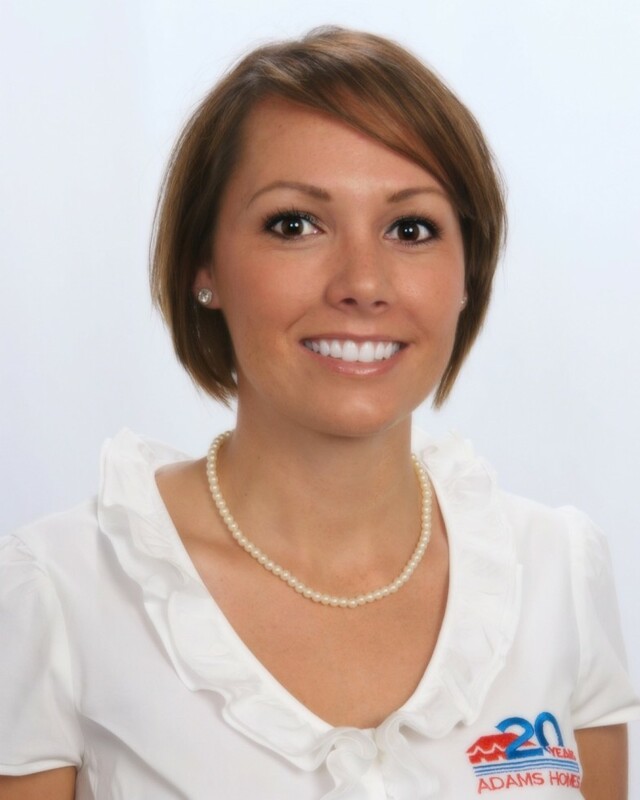 Elizabeth Porter holds a Real Estate Broker’s license with the State of Florida. In addition, Elizabeth has obtained her e-PRO certification through the National Association of Realtors and her designation of Certified New Home Sales Professional (CSP) through the National Association of Home Builders. Adams Homes believes that a homebuilder should offer customers a purchase process that is easy to understand and a home that fits their needs. Adams Homes believes that value and satisfaction is delivered by offering a home with features that homebuyers want.